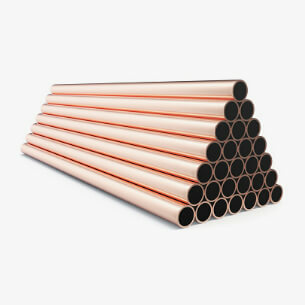 The exceptional wear and fatigue resistance of this alloy is the result from a controlled duplex alpha and beta phase. This alloy has high strength combined with good ductility and unusual toughness. The physical characteristics of this alloy can be varied by heat treatments (AMPCO® 18.22, AMPCO® 18.23 and AMPCO® 18.136). This alloy is well suited for use as gears, worm wheels, bushings and bearings. The machine tool industry has adopted AMPCO® 18 as standard for all applications requiring good sliding properties, wear resistance, fatigue resistance, toughness and/or resistance to deformation under load. 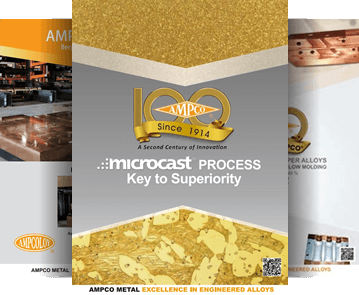 AMPCO® 18 is used in steel mill service as screw down nuts, slippers (many of which are “cast to size”), gears, wedges and breaker blocks. AMPCO® 18 has excellent corrosion resistance and is used in pickling service for such parts as hooks, crates and spreaders, etc.